For more information on any of the following programs, please contact the synagogue at 503.226.6131. Ice Cream buffet following morning service. A community that eats together, stays together! Shaarie Torah has mastered this. Join us for Kabbalat Shabbat services followed by a delicious kosher dinner. We do the cooking, set the table and the cleaning. You do the singing, praying and mingling. Have a L’chaim or two as well. Wine included! RSVP required. Want to do Shabbat but have young children who will fall asleep at 6:30 pm? Come experience the joys (and not the oyes) as Shabbat begins. Join Rabbi Rose at 4:30 pm for a bit of "Shabbos feeling" music, songs, stories, puppets and an abbreviated Shabbat Service--just right for the little munchkins and you! Join together as a family for some Jewish activities with Elizabeth Fleishman, The Carl Preschool Director, Dorice Horenstein, Education Director and Rabbi Rose. Your family will have an activity together according to a monthly theme. Then after a light snack the children will have storytelling and playing while parents have time to connect and discuss parenting with Rabbi Rose. September 14th, October 5th, November 9th, December 14th, January 11th, February 1st, March 1st, April 12th, and May 10th. On the FIRST shabbat of the month preschool aged children will be engaged in a Tot Shabbat service while their parents can participate in main services in sanctuary. There is a kid friendly kiddish, stories, prayers and more. “Dare to be Different”. 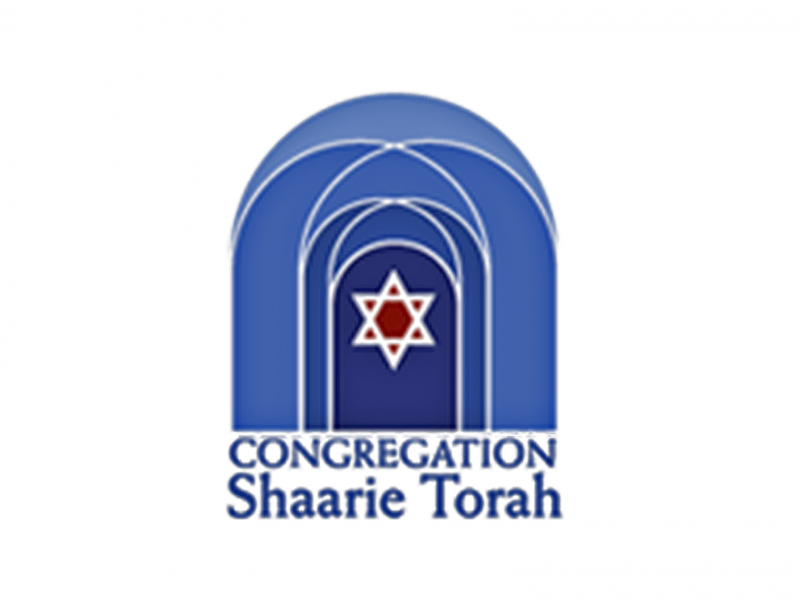 Join other middle school aged friends of Shaarie Torah at a weekend long beach retreat with Dorice. October 24th to the 26th. “Unleash the Israeli in You!” Join the high school students at a weekend long beach retreat. Stand With Us Shlicha, Evyonne Bartlett will join to help provide an enriching experience with Israel advocacy, Jewish identity and pride for our Jewish State. November 21-23. On the Third Shabbat of the Month at 8:30 am. Bring your teens and see how they become leaders and how they become knowledgeable. They will lead the Saturday morning service in the chapel amongst their peers. This is a great preparation for their b’nei mitzvah and fun with their peers. Children Only Service. Our Wednesday Night School offers social and educational opportunities for teenagers eager to prepare for their Bar/Bat Mitzvah, who are interested in contemporary issues, and who want to do tikkun olam while gaining knowledge of Jewish traditions. We meet Wednesdays at 6:00 except major holidays. First Wednesday of the Month. Every month we will bring a different speaker and have a new theme for Mamash (true) Learning. You are welcome to join us for dinner at 6:00 ($5 suggested donation). We start to study at 6:30 sharp. Our relationship continues with Coffee House Series! Join a Hevreh (a group of friends) in someone’s home to study and talk Torah. A bit of socializing, a bit of learning and a lot of connecting. Every third Thursday, from September 18th to May 21st. Women are invited to nourish their souls with knowledge and spirit from one another. The fourth Sunday of every month. Location: Congregation Shaarie Torah unless otherwise advertised.